This project’s objective is to analyse the aromatic herbs and spices sector in order to better understand these very common ingredients, and evaluate the viral contamination risk they represent. The project raised awareness of viral risk in the food industry among over 30 companies in Western France. This will enable their HACCP plan to be put into action, by including information on the danger posed by viruses and reducing the health risks associated to aromatic herbs and spices. 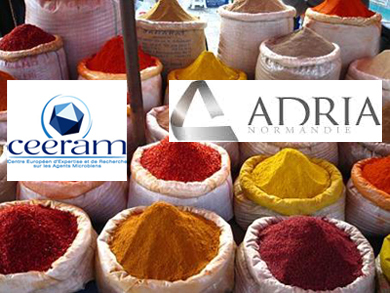 The results obtained by the project lead to the development of a standardised virus extraction process for use with herbs and spices, and CEERAM developed a Hepatitis E detection kit for particular spices, now on sale in France and abroad since June 2011. The project made ADRIA Normandie the partner of choice for companies that want to use this new data and improve the health risks associated to their products.